A while ago, I have a feeling it was sometime last year I supported a Kickstarter campaign called the AER. Essentially it’s a GoPro throwing dart. 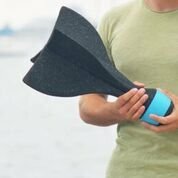 I watched their promo, 2 guys based in the Netherlands came up with this idea of a foam dart that you click in your GoPro and throw it to achieve a “mini drone” effect. I liked the idea and backed it. A year later, the postman knocks on my door with a parcel, my daughter opens the box and to my surprise it’s the GoPro Dart, to be honest with you I completely forgot all about it. A quick flick through the manual and watch their latest YouTube video, I pick up my GoPro Hero 5 and headed off to the local park to have a play around with my new toy. I was a little hesitate as 1st at throwing my GoPro into the air and risk it smashing. But I trusted this project and the dart head felt sturdy and the GoPro clicked into place and seemed secure. Now the Park I was in doesn’t have many exciting things to film, it’s essentially a football field with a kids section with some slides and swings, but nevertheless I threw the dart across the playing field and it took to the sky very easily. The GoPro was linked up to my smart phone, so I could control when to press record and when to stop recording. The AER flew for approximately 20feet which was around 5 to 6 seconds of flight time. I never planned any of the “flights” it was just random throws across the field, over the swings and through a few trees. 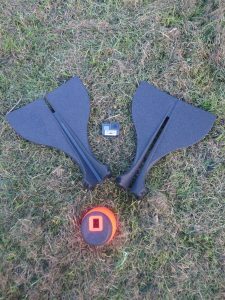 The AER wings are made from Expanded Polypropylene (EPP) and the head is molded Polypropylene (PP). 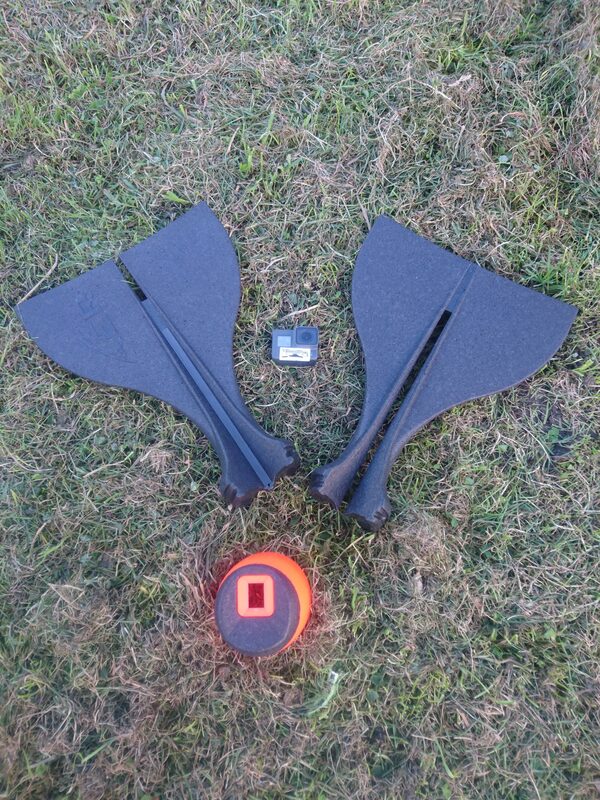 As well as being waterproof, the dart-shaped casing will keep your GoPro safe when hitting the ground. The wings also allow for stable flight so your video captures are actually watchable. 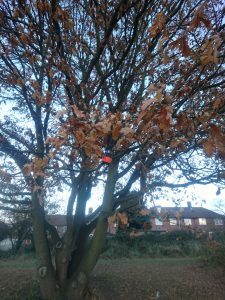 I Didn’t watch back any of the footage whilst I was in the park experimenting with my new toy so it was all random throws, the only thing I did make sure was making the footage look straight by turning the dart around and watching it on my phone. How ever after getting back home and watching the footage I can now see the School boy error I made! The dart spins in mid air whilst flying, so my footage was now upside down. This was easily corrected using my video editing software on my computer, I also slowed down the footage quite a bit. The footage I took isn’t very spectacular or impressive. Let’s remind you I took it in the local park just before sunset. The AER got stuck in a tree. The captures are limited by how high and how far you can throw, and you have little control over where the camera faces so it’s all down to trial and error basically! If your after drone like footage then obviously no I wouldn’t, you can’t control the dart like a drone. It’s a fun GoPro extra, just like the head band and chest belt that I’ve got but never used. I think in the right location you might get some cool footage. Why do scouts leave the Troop ?